Loanee Jack Fitzwater says Albion will decide his future next month – but he is planning to stay with Walsall. The 21-year-old was snapped up by the Saddlers on a season-long loan back in January. That deal includes an option for the Baggies to recall the talented centre-back next month. And while that decision is still to be made, Fitzwater says he is planning to stay at the Banks’s Stadium for the entire 2018/19 campaign. “My loan is through until the end of the season,” the defender said. “There is a call-back in January, whether Albion will take that up , I’m not sure. “But I’m enjoying my time here. I am loving it. “I just want to keep playing games. I’m at the age now where it’s vital I get that experience. “The decision is out of my hands. It’s Albion’s decision. 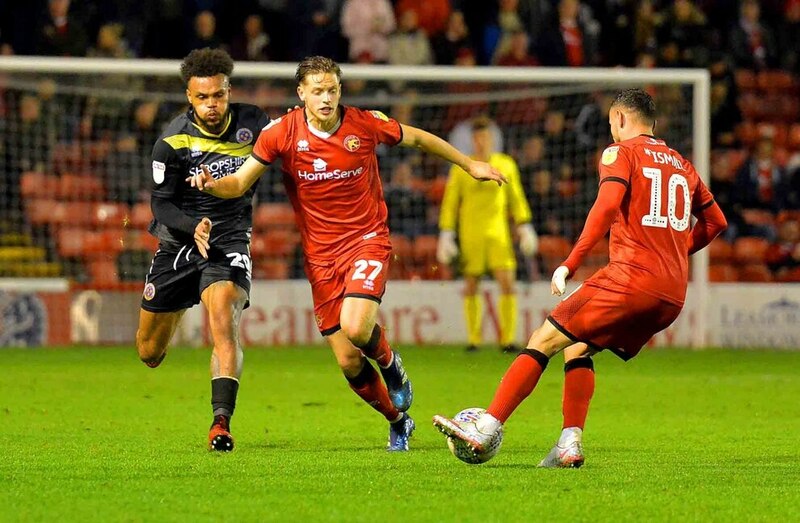 Last month Fitzwater posted a picture on Instagram hinting he was staying with the Saddlers until the end of the campaign. The picture had a signing emjoi and also had the dreamers hashtag – something a lot of Walsall’s players use on social media. But the defender insists the post was just a bit of fun and didn’t relate to his future. “That was just a picture,” he continued. “All the loan boys go on about how we are dreamers. While Walsall are hopeful Fitzwater will stay, one player who looks set to depart is winger Josh Ginnelly. 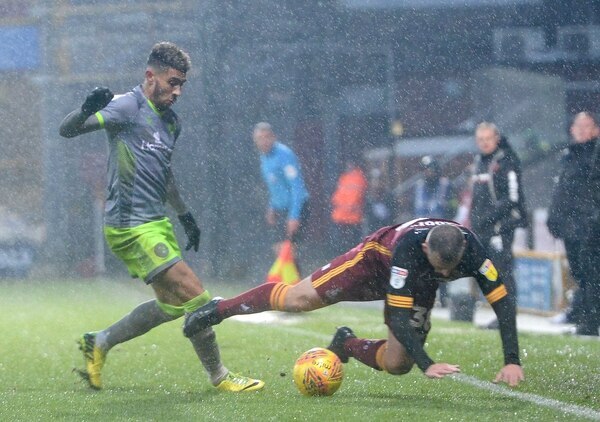 The Express & Star understands Preston are the side who tabled a bid for the winger last week – with that offer seeing the 21-year-old miss Saturday’s 1-1 draw with Peterborough United. But while manager Dean Keates confirmed a bid had been made, he did not say whether it had been accepted. “There are one or two things going on with Josh,” the boss said. “We have had an offer for him. “A concrete offer has been tabled and I had to make a decision – that’s why he wasn’t involved at Peterborough.